Many teachers want successful group opportunities for their students, but wonder how they can make sure that collaborative group work is productive and encourages all students to participate and contribute. In this three-part series, weâ€™ll look at a few tips for planning (part I), supporting students while they work in groups (part II) and how to effectively transition from group work to whole-class work (part III). 1. 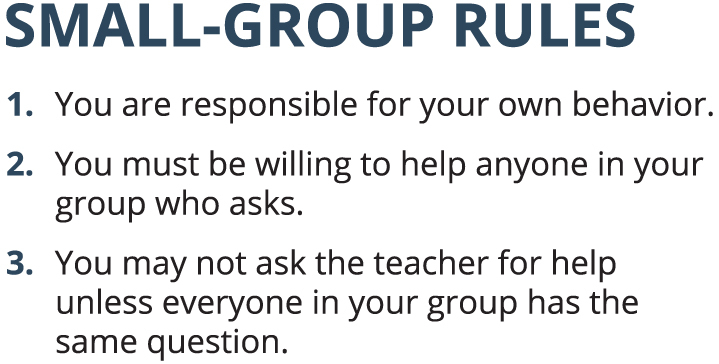 Establish group norms with your class. 2. Assign students to groups they will regularly work in. 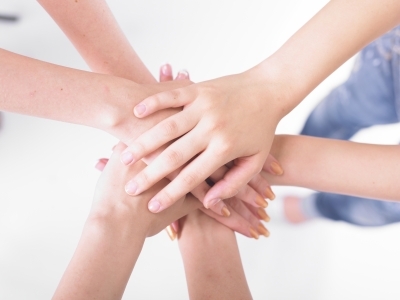 Thinking about group assignments can make or break effective group time. These established groups don’t have to be the only way you engage students in collaborative work; however, have some continuity can increase the likelihood that students will learn collaborative skills. 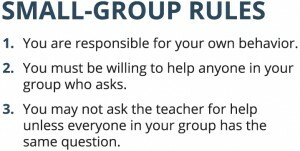 Instructional Coach David Ginsburg (@CoachGinsburg) shares some thoughts on why you should assign groups, and not just let students pick. Try to balance group membership, and also change group assignments a few times during the year. 3. Identify meaningful roles and group size. When classes are split into two teams, each consisting of 10-15 students, you can almost guarantee that many students will either hide or not get an opportunity to participate. In a group of 3-4, everyone has to pitch in. If your group size exceeds the number of meaningful roles that students can play in the group, itâ€™s time to downsize. Meaningful roles include: facilitator, notetaker, devilâ€™s advocate, and data-searcher. If a student’s role in a group is â€œword wizardâ€ but our task has little to do with new vocabulary, that role is not very useful to our group. Some teachers, instead of assigning roles, ask students what roles their group needs to be effective for a given task – but that is usually after the class has experience in collaboration. 4. Frame an engaging guiding question or task. There should be more than one way to think about the question, task or challenge. (Here is a great post from Grant Wiggins describing essential questions.) Asking students to work in groups to define twenty vocabulary words probably wonâ€™t spark a lot of collaborative thinking- that kind of task usually ends up with students working on their own or having one student do the work while the others copy it. However, if students have to write a skit that incorporates five vocabulary words, they have to work together. As a teacher, we can think about our task and ask ourselves: do students need to collaborate with someone else to achieve this task? If not, how could I reframe the task so it requires collaboration and also still achieves the learning objectives? There are certainly other ways to prepare for effective group work. What would you add?